You might call these hidden features but they are simply improved functions that users may miss to realize or see. They, therefore, end up being called iOS 11 tips and tricks because they require some little ingenuity to execute. Here come a number of advantages over the use of some of this tips and tricks, which make one deeply fathom how the iOS 11 works, albeit making it simple to use this iOS version. The best thing is that these tips and tricks on iOS 11 don't require a tech savvy. To come around them, you should be ready to make the utmost use of your iPhone and push it to the optimal settings to get the best out of it. The Control Centre is customizable, fitting designs that suit one's taste. 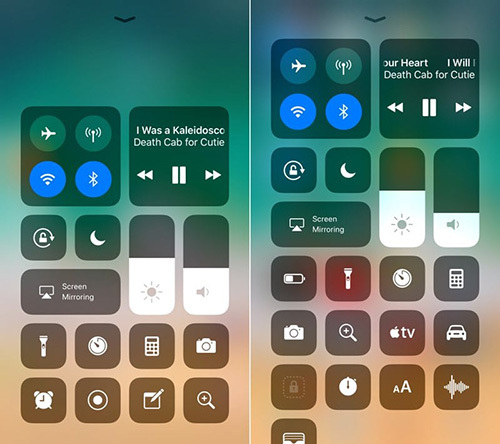 With the release of this version, many things were changed and the Control Centre is one of them, giving the iPhone on the iOS 11 version a different look. The functions were placed in a single page for easier navigation. The Control Centre can be adjusted via settings. One can add and remove more controls for easier navigation. When it comes to the brightness and display of the device, iOS 11 features a hidden trick to change the display into a Dark Mode, via the settings option. This is among one of iOS 11 tricks that comprises a number of hidden features. It starts with dragging and then setting whether an app, text, link or video, wherever you wish. Simply said is that you can for instance, long press or hold on an app, drag it, then place it on either edge of the screen and it will simply be docked there. Another such example is while using two apps at the same time, you can easily lay them side by side, then share data by simply dragging and dropping for example a text, image, link or video onto the other app without much of a hustle. Besides the multi-tasking ability, one can also make accessing apps convenient. This is by first either placing them in a single folder for easier access. This can be achieved by simply holding onto an app on the home screen, then using the other finger to add more apps, which will now have been selected. Next, find a folder and place the apps there. In addition, one can also use the Dock feature to place apps they frequently use, since this feature can be accessed by swiping up from the bottom of the screen no matter of which app one is using. 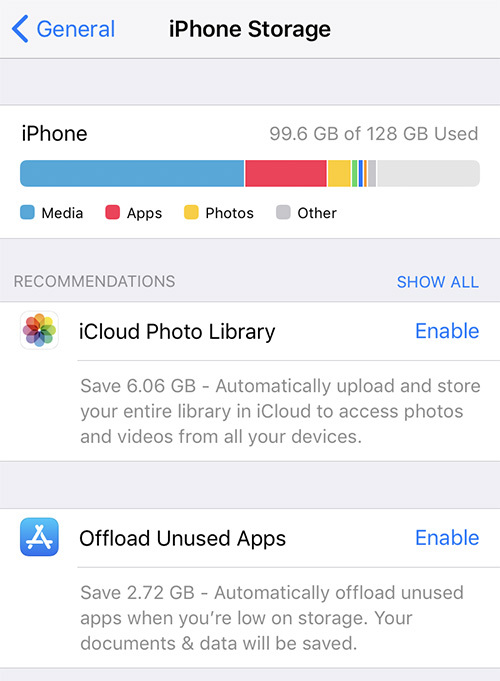 For those with concerns over iPhone's storage capacity running low, there are quite a number of iOS 11 tricks that can be used to overcome this. First, it is good to note that iOS 11 introduced new file formats that are supported on documents, images, and videos. These file formats have come in handy in reducing the storage capacity utilized. One can use the iCloud back up to store unnecessary data at the time, such as by syncing Messages to iCloud, which can play a critical role in recovering lost data when use a data recovery, like Joyoshare iPhone Data Recovery. Using this method, one can also "offload" apps. More wonderful point with this option is that it retains the app data and one can reinstall the app and simply pick up from where they left. iOS 11 tip on getting the most out of your screenshot is just for fun. However, it can also be used for delivering some relevant information. The screenshot trick is about annotating the shot. After taking a screenshot, you can use the thumbnail option to instantly access the screenshot. Once on the shot, a number of mark up tools will be provided. You can crop and scribble and do almost all sorts of editing to the screenshot before you decide whether to save or delete it. Similar but yet so far away from screenshots is the ability to work on photos. 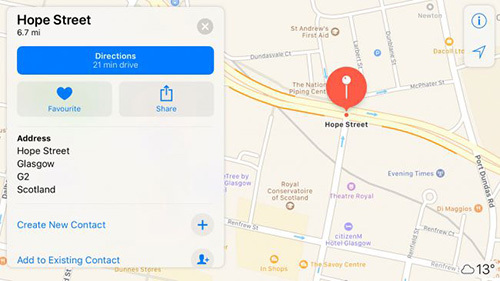 This is among some of iOS 11 tips that have got many users excited. This is so, due to the inability for live photos to provide just a shear frame for the photo. Well using some tips and tricks, this all becomes possible on any iOS device be it iPhone or iPad. One can handily visit the photos and through the slider, select the desired photo. 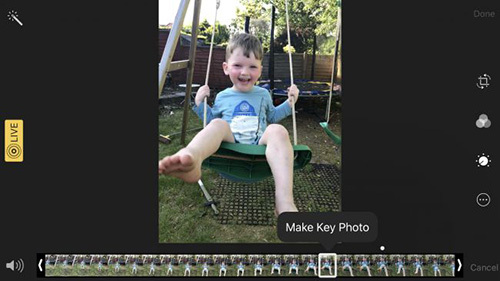 Proceed to edit the photo by tapping or selecting the Make Key option to give the photo a frame and Voila! It's all done in seconds. You can save it once done. This is a great perk added to iOS 11 version. With the option to scan any QR code without complexity, gives this version a great thumbs up! Still, on the plus side, iOS 11 will effectively scan the code, using the Camera, simply because there is no interface built for this option. That aside, it will support a myriad of codes, ranging from codes used to open websites, add contacts, to even setting up devices as well as many more codes. The scan option performs exemplary. One-hand typing keyboard has been especially considered as a great and awesome feature for those using an iPhone 7 Plus. The feature is initiated by long pressing or holding on the emoji or globe function or option on the keyboard. Plainly put, a list of three keyboard options in image form is provided. The one at the center is the common keyboard function utilized on the iPhone or iPad. The next two that is, the ones on the side, are the ones that bring about the one hand-typing function by either moving the keyboard to the right, for the option on the right and consequently left for the option on the left. Siri is not left out in the diverse list of iOS tips and tricks listed. Some of the features have been tweaked to give users the best experience. This time around users will not have to worry about the voice commands to Siri. This is because an existing, but slightly improved and probably new to some feature makes it possible. 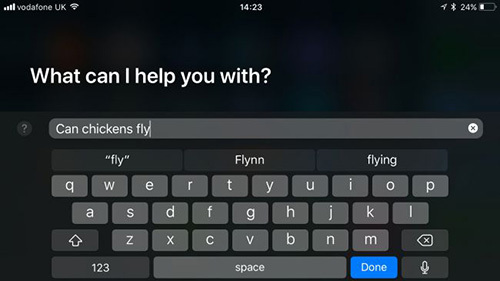 This is the ability to Type on Siri, simply got to the settings and Enable this option. Once done, you can access Siri by long-pressing or holding on the Home button to bring up the keyboard. The "Hey Siri" function and voice command feedback will still work. 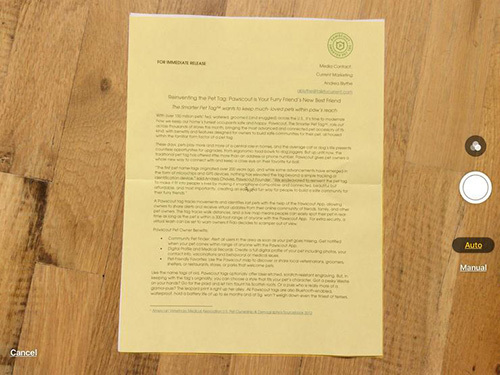 The notes app has been improved to allow for scanning documents. This incorporates a whole lot of iOS tips and tricks that make using files, be it scanning, embedding to print or some slight editing easy. This function has improved with the ability to remove filters and perform remarkable scanning. This all makes the Notes app help to include more information to documents whether using tables or adding bullets and will make for even better sharing of the same files. You can also secure a file using the Apple Pencil Notes. You simply need to access it via the Lock Screen-Through the settings and you can even scribble on documents using this option. An annoying scenario is in the case of using cellular data, this will heavily dig into the data, leaving you with almost none each time you top it up. The background refresh can be halted via the settings Background refresh isn't that bad, but simply say you are on a social platform viewing a cool meme, then a random refresh takes place, you will definitely feel like throwing the iPhone against the wall. Anyway, not to exaggerate matters, the background refresh isn't that bad as it keeps the phone updated regularly. Using the flight tracking feature, you are allowed to see details concerning the flight, which makes it easy to link up with family and friends who had been traveling. This feature gives detailed information concerning the flight with even real-time maps. Map is another feature that has been improved. Considering the past how one had to either pinch the map to zoom or double tap to enlarge, this has been made more effective on the new iOS version. Some of the above-mentioned iOS 11 tips and tricks are just among the many tips and tricks the iOS version has. For the most part, iOS user will never grin having a device that gives them customizable features and a personalized experience. To top it all up, iOS 11 version was designed to meet the daily requirements of each and every user, not just the geeks, and that is why there are so many tricks incorporated to this version, which are easy to execute and make it a more worthwhile experience.